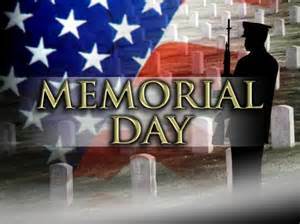 Celebrating Memorial Day: I want to take the opportunity to thank the families of those who died protecting our country. We sometimes lose sight of why we celebrate Memorial Day and that is disrespectful to those who sacrificed their lives so that we can have the freedom we do today. Thank you. 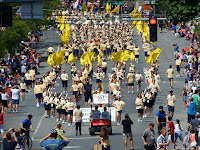 Marching Bands Galore: Speaking of Memorial Day, I hope you had a chance to see our Middle School and High School student Marching Bands in the parade along with the largest alumni Marching Band ever assembled. Well over six hundred forty strong, the alumni band played the "Battle Hymn of the Republic" to the thousands of onlookers who enthusiastically cheered them on. 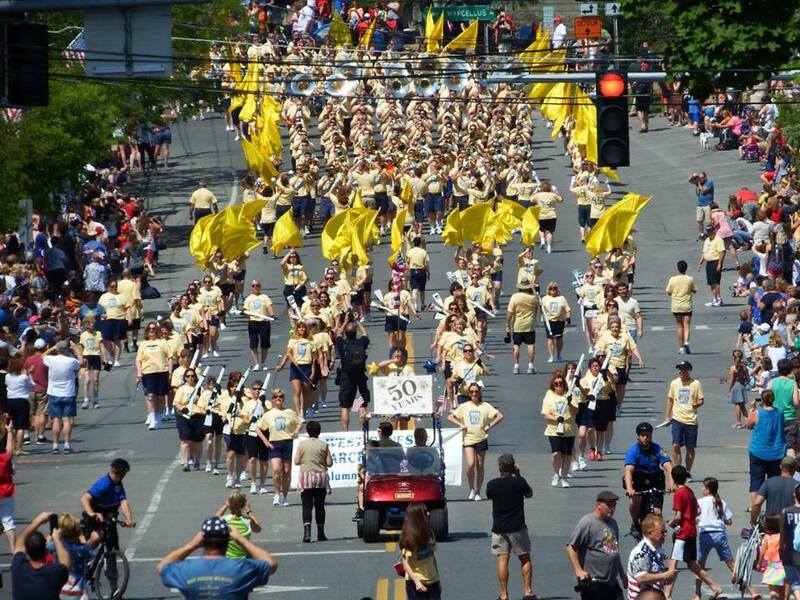 A HUGE thank you to all of the alumni for marching and especially to the volunteers who put it together; Bill Davern, our Director of Fine Arts; and the Camillus Police Department who managed all of the traffic and crowds and made everything flow smoothly. Kaleidoscope 41: On Thursday night we were all treated to incredible music performances at the forty-first Kaleidoscope Concert at the Civic Center. I have had a chance to watch the performances from the audience as well as from back stage. It is quite a feat to make sure that everything runs without a break in the action. The student performers certainly gave us their best efforts; and it showed. I was also keeping track of the boys and girls lacrosse, softball, and baseball sectional play at the same time as Kaleidoscope. Some of the teams lost, and with that came a few negative text messages, emails and social media messages. This always bothers me as we are talking about student athletes trying their best. Life goes on. 'cause this fine old world, it keeps spinnin' around". Golfers Continue to Compete: Good luck to golfers Sean Stanistreet and Dylan Plis as they play for the New York State Golf Championship next weekend at Cornell University! Budget Vote Pressure: As the polls closed last Tuesday night and I began the yearly ritual of getting a stomach ache while the votes were tabulated, I took a moment to reflect. I thought to myself, "Why do I get a stomach ache every year?". We are doing tremendous things at all levels, we are always below the tax cap, we are always transparent about our business, and our District has local, state, and national credibility. The reality is that even with sustained success, one should never take anything for granted. Trust, support, and votes are earned every day, even when people aren't watching. The level of pressure to keep improving upon our success from year to year AND to keep your trust and support is always on my mind. The results? Outstanding once again and in that moment of exhale, I am so thankful for all that you do to help support me, our staff, our students, and our community. We are humbled once again and will keep making you proud. High School Hero: Someone else made me proud last week. After leaving the Senior Ball, senior Nicole Corrente was headed back to school on Route 690 with a friend to enjoy the All-Night After Party. She noticed a person in the median of the highway. It was approaching midnight and the person looked out of place. She and her companion could have kept driving. The music was playing in the car, and they were anxious to hang out with their other friends back at school. Nicole then did the right thing. She decided that the after party could wait a little while. She called 911 and reported what she saw. Turns out the person was suffering from dementia and had been missing. The police came and brought her back to her family. 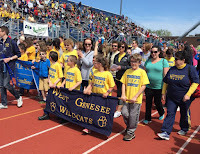 Special Olympics: Last Thursday I had an incredible time watching about two hundred of our students cheer on fifty of our athletes at the Special Olympics. I was filled with pride as students gave it their all while their fans held up signs, cheered, and congratulated their exceptional classmates. This made me very proud to be a Wildcat! This week is BUSY! There are all kinds of athletic sectional competitions this week as well as Kaleidoscope on Thursday night at the Civic Center. We are looking forward to seeing the Alumni Marching Band and our current Marching Band at the Memorial Day Parade on Monday. We have so many people participating, that they are hoping to break the Guinness Book of World Records! With that many alumni, we have had to reach out as far as Pennsylvania to get enough instruments for people to play! Luckily, it looks like the long-term weather forecast is very good. I cannot wait! Please remember that there is no school this Friday. Thanks and enjoy the week! 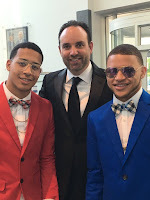 Another Great Senior Ball: Just when you thought the Senior Ball was going to be a washout, the clouds parted, the sun came out, and over 400 students had a wonderful time at the "Phantom of the Opera" themed dinner and dance held at the OnCenter. The students were mature beyond their years and were just awesome to be with for the evening. Earlier in the day they attended a modified presentation of a Mock DWI exercise that although abbreviated due to the weather, was still very powerful. Afterwards they enjoyed a delicious breakfast. All told, I would say that nearly 100 staff, community members, and parents helped to make sure that the students had a safe and enjoyable 24 hours. Thanks to all! 50th Anniversary of Alumni Marching Band: What has 1,276 legs and is over a quarter of a mile long? The West Genesee Alumni Marching Band. On their 50th anniversary they will try to make the Guinness Book of World Records for the largest alumni band. How cool is that?!? I hope to see you there. Reward School Honor: Last week we received some great news. 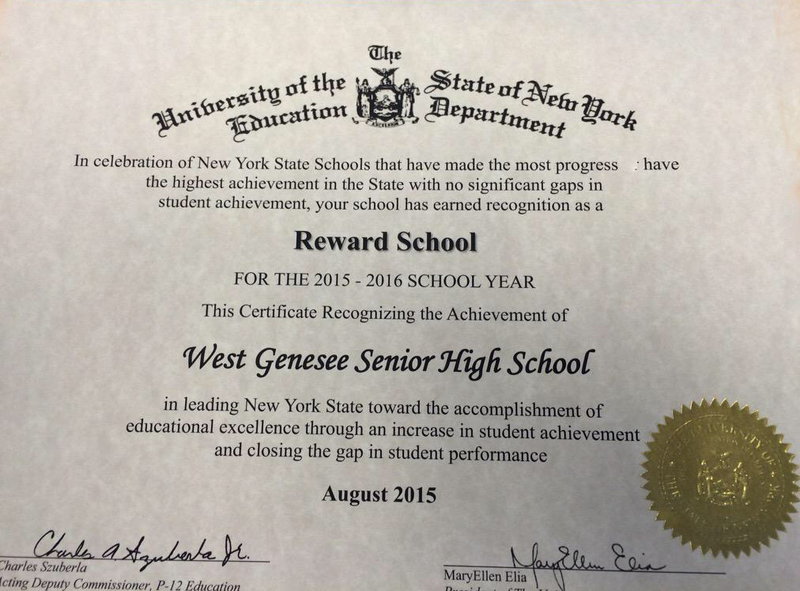 For the second year in a row, West Genesee High School was recognized as a "Reward School" by the New York State Education Department. This is the highest academic award given by New York State, and we are proud to be a recipient. 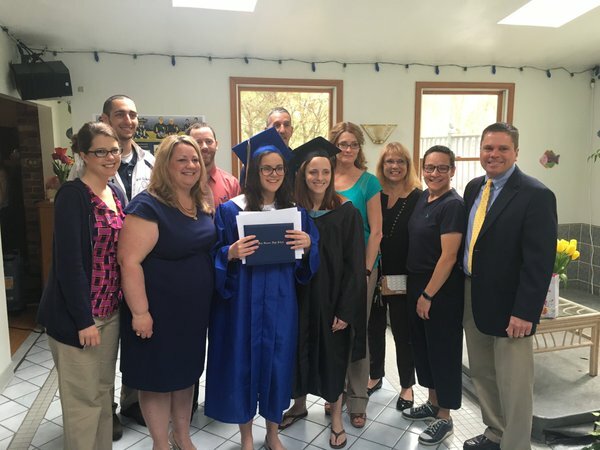 The main criteria that has helped us to achieve this goal is our overall completion rate, which is very high compared to other schools in New York State. Congratulations goes to all of our teachers, support staff, administrators, Board of Education, parents, and especially our students! Other schools in our area to also receive this award are Jamesville-Dewitt, Skaneateles, and Westhill High Schools. I want to congratulate those schools for also receiving this honor. Update on the STAR Program: In keeping an eye on what is happening around the state, I wanted to draw your attention to some changes that are being made to the STAR program. STAR is a property and school tax reduction program that primary homeowners qualify for. If you have not bought a new house this year, you have nothing to worry about as STAR will work as it always has. If you have bought a home this year, check out this brief article from syracuse.com to see how to register and receive the STAR reduction. 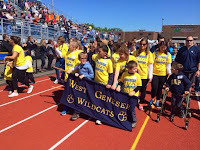 Special Olympics is this Week: If you have time on Thursday, May 19, please join me as I cheer on hundreds of children (including many of our own students) at the Special Olympics being held at Cicero-North Syracuse High School starts at 9:30 a.m. with the parade beginning at 10:15 a.m.. This is always one of my favorite things to do each year and every competitor is an inspiration to us all! Time to Vote on the School Budget: Lastly, please remember to vote on the school budget and for Board of Education members this Tuesday. It is very important to us to hear from as many community members as possible.Voting will take place from 6:00 a.m. to 9:00 p.m. in the high school auditorium lobby. 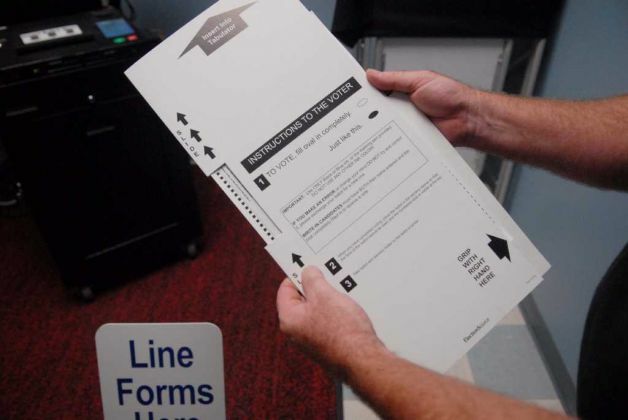 Please remember that due to the state no longer providing waivers to use the old style of voting machines, we will be using the new voting system with the Board of Elections workers working the polls. 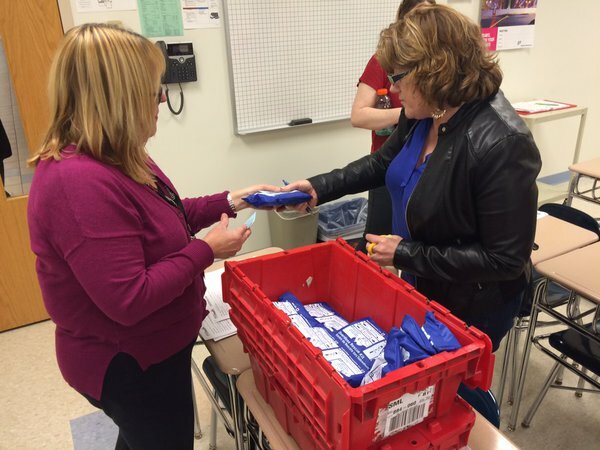 A special thank you to all of the volunteers who have worked the school budget vote over the years. We are planning a small celebration for them on vote day, including community member Hugh Stannard who is one hundred years young! Thank you for your support and have a great week! Appreciating our Mothers: It can be easy to just type "Happy Mother's Day" as a Facebook status, as a quick Tweet, or a post on Instagram. With a little extra elbow grease most can even paste a picture of their mom to go along with that Tweet. One thing I have learned over time, and was especially reminded of last week, was how fortunate a person actually is to still have their mom around to celebrate Mother's Day. 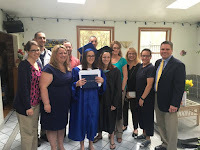 Forty-eight hours before Mother’s Day, I was handing a high school diploma to a senior in front of her mom who was expected to pass away at any moment. She unfortunately did not make it to Mother's Day. To read an article about this on syracuse.com, just click here. What was amazing was that even in dire sickness, this mother still kept everything together for her family. That is what moms do, and that is why they are such amazing people. 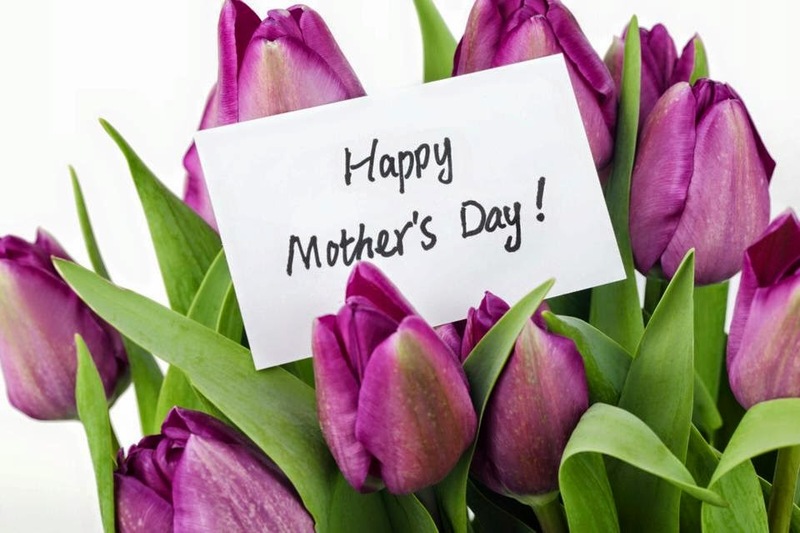 If you are fortunate to still have your mother with you and TRULY didn't get a chance to thank your mom yesterday, you have some homework to do today. If your mom has passed on, I hope that you, your family, and your friends took a moment out to remember all of the things that made her the most important part of your lives. If you didn't, you have homework as well! When I write about Mother's Day next year, I will be checking your work! Ceramics Team Wins: Last week our high school Ceramics Team made school history by winning the "Feats of Clay" event at Onondaga Community College. They have worked hard and are extremely creative and it all paid off. Congratulations to all of the participants and to our Ceramics teacher Mrs. Schrader! 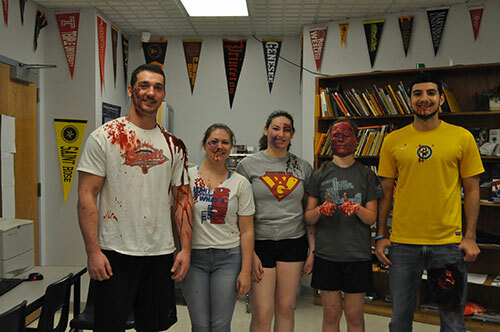 Teamwork: Also congratulations to our ninth grade team who worked together to offer a "Renaissance Festival" to third graders from Stonehedge Elementary School. This is the second year of the full festival and the event has helped to promote teamwork, responsibility, and true authentic learning! Honors Breakfasts: Congratulations to the hundreds of students in ninth through eleventh grade who were recognized for being on the high honor roll for nearly every semester of their high school careers. It was great to enjoy the moment with their parents, and I am looking forward to celebrating academic success with the seniors later this month. 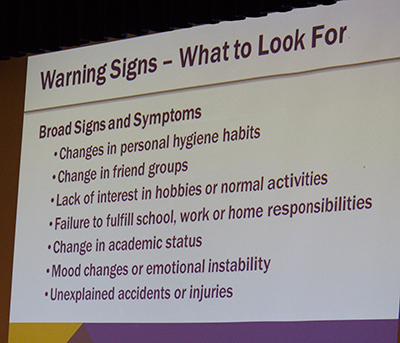 Wrapping up the Mini-Forums: Last week we also hosted the last two mini-forums about substance abuse for the school year. The first was about Treatment and the second provided NARCAN training. They were both very informative and close to 200 people received the NARCAN (antidote to a heroin overdose) training convincing me that our community coalition is really doing some positive and much needed work right now. I am proud to be a part of something so important. To view news coverage on this event by News Channel 9, click here. 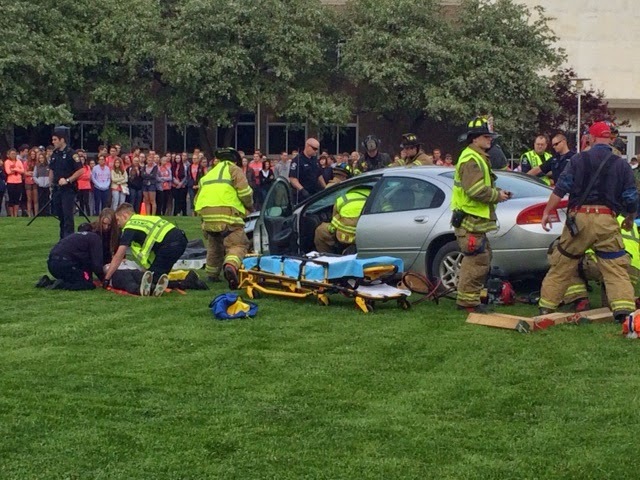 Simulated Car Crash: Believe it or not, this coming Friday is the Senior Ball! On Friday morning we will be holding a simulated DWI crash in the circle at the high school. We have community partners from area emergency agencies as well as the district attorney's office, Buranich Funeral Home, Meyers Towing, clergy, the county medical examiner, and for the first time since 2009 and weather permitting, a helicopter. The event takes place from 7:20 a.m. to 8:20 a.m. so please do NOT be alarmed if you are driving on West Genesee Street during that time and see an "accident" unfolding. We want to thank all of these agencies and the community for volunteering their time because it does make a difference! Thank you for the continued support and enjoy the week! 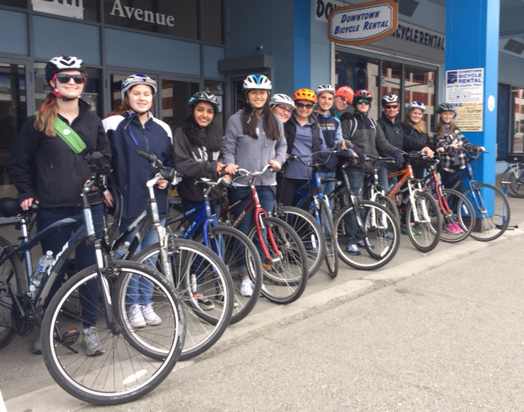 Academic Decathlon in Alaska: I hope that everyone had a great spring break. As you are reading this, our Academic Decathlon Team members are arriving back to town after a successful trip to Anchorage, Alaska where they competed in the national championship. Aside from competing, they had a chance to bike, hike, and visit the Alaska Museum as well as the Alaska Zoo. Definitely a once in a lifetime experience for most, and they are appreciative of your support to help get them there. Once they recover from the jet lag, I know they plan to work with our publications department to send out a summary to our community. Vacationing in Vegas: I had a chance to get away for a couple of days to Las Vegas. I had never been there and wanted to check it off the list. I am too cheap to gamble, so we spent the time checking out the themes from each casino, seeing a show, eating a couple of good meals, and then venturing out to the Hoover Dam and Zion National Park. I cannot tell you if I was more impressed by the Hoover Dam, Zion, or the Vegas strip itself. They were all interesting in their own ways. 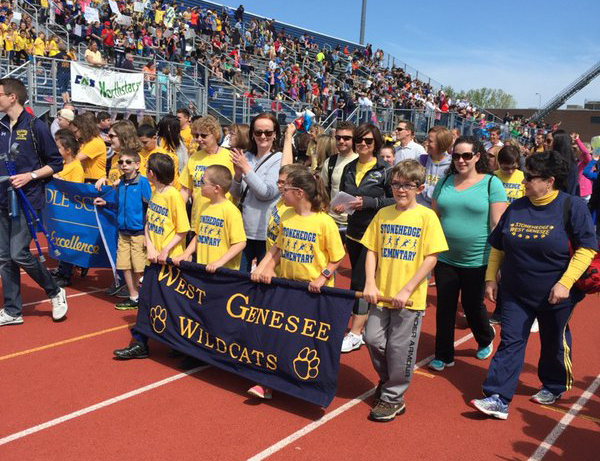 As you know, West Genesee has incredible reach. While I was looking over a rooftop and out onto the strip, there was a large video billboard advertising an upcoming stay by music legend Lionel Richie. The last image shown was his guitar player, former West Genesee student Ben Mauro. Wildcat pride! NASA Touches Down at the High School: A day before spring break, students, parents, and community members were treated by a visit from NASA astronaut, Dr. Jeannette Epps. Her presentation was sponsored by the Junior League, and she spent about an hour and a half talking about her preparation to become an astronaut, and her message was to never give up on your dreams. There was a long line to shake her hand, or get a picture or an autograph, and I commented that she was as popular as any guest musician or athlete we have ever hosted. Good stuff! She will be headed to the International Space Station in about a year and a half, and we will be following her progress. Construction Progress: While we were away, construction workers made significant progress in each of the buildings. I toured all of the work on Friday and took these pictures. We continue to be on or ahead of schedule in all areas and we are also right on target budget wise. If your child participates in an activity through the town Parks and Recreation Department, be sure to pay careful attention to the location of each activity when you register as some of them have changed for this summer only. 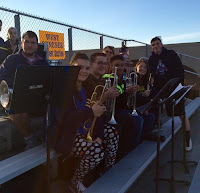 West Genesee has a Pep Band: It has long been rumored that the fine arts students do not get along with the athletes and visa versa. For years I have told people that perception is NOT reality but it has been challenging to prove it, until now. 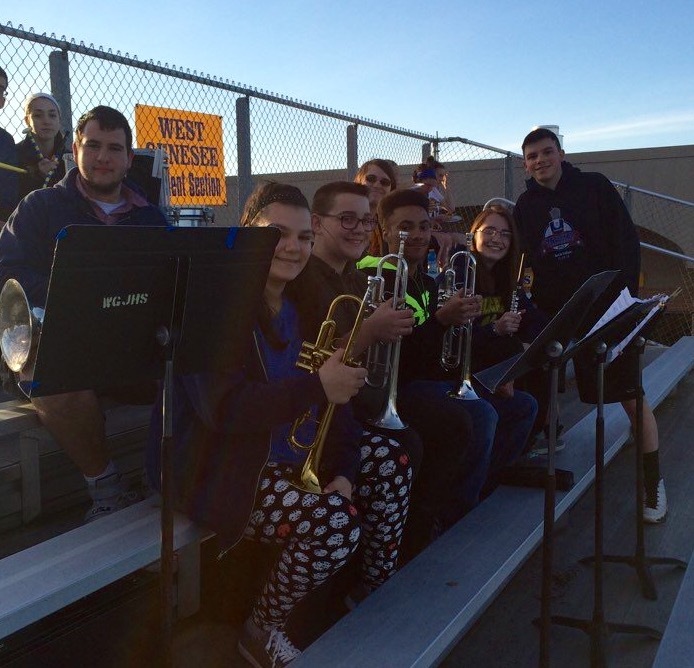 Cue the new and totally awesome West Genesee Pep Band. The pep band was started over the winter by a small number of students for one basketball game, and they have since grown to about twenty strong. They are also becoming a common fixture at boys and girls lacrosse games. The group is student driven and you can follow them on Twitter at @westgeneseepep. 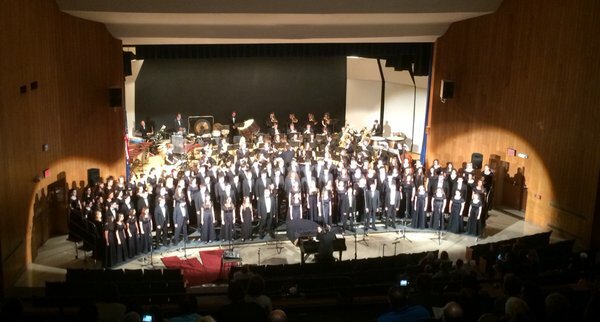 They sound great, and I am hoping that they stay together and continue to grow in numbers into next fall and winter! Mini-Forums this Week: The last two substance abuse mini-forums for this school year take place this week. 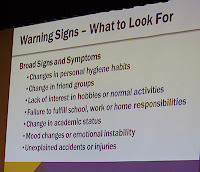 On Tuesday, May 3, there will be a forum about treatment. 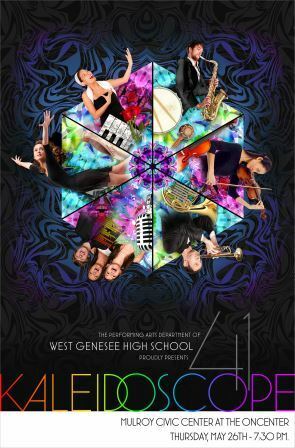 It takes place from 7:00 to 8:30 p.m. in the West Genesee High School Large Group Instruction Room. On Thursday, May 5, there will be a mini-forum that will provide NARCAN (nasal based) training with 3 one-hour training sessions starting at 5:30 p.m. in the West Genesee High School Large Group Instruction Room. We have done a tremendous job raising awareness about substance abuse in our community and it would mean a lot to see good representation at these forums. The larger community coalition will then have a final meeting for the year where we will summarize our productive year and make plans for next year. Thank you for the continued support. Welcome to May. Graduation is straight ahead. Enjoy the week!